Parenting: How to make examination planner for your kid? How to Make Examination Planner for Your Kid? Before final exams, last two months duration is the most important time, not only for students but for their parents also. This is the time when parents should take more care of their kids. They should make a complete planner for study of kids before examination. In this article, We are briefing some important points which are most necessary to consider while making proper planner for your kids. Before final exams, last two months duration is the most important time, not only for students but for their parents also. This is the time when parents should take more care of their kids. Parents should tell their kids also that this is the best time to get better harvest of their labor they did, on their study, for whole year. Parents should also involve in Examination Planning for kids before exams. Two months earlier to exams, is the best time to check the course and final exam syllabus of your kid. 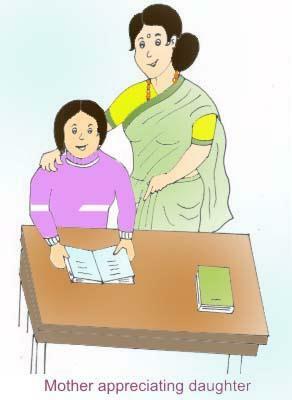 Use exam syllabus to make proper Study Time Table for your kid. It is most important to keep additional time for revisions for all subjects after learning the complete course, as per exam syllabus. Keep patience with your kid and remind them not to get disturbed with indulging in additional tasks during this period. The more additional tasks can divert mind of your kid. For avoiding mental disturbance of your kid, allow them for playing and entertainment also. But it is the duty of parents to remind them time to time for their goal. Keep encouraging your kids and check out her study report as per specified time table schedule. Parent's attention towards study schedule is must. Remind kid to follow their study time table, time to time and encourage her for efforts she doing for her study. Never compare your kid with others. Do appreciate your kid in front of others for his/her good works as appreciation encourages the kids. This will encourage her mental ability and her interest for study and good works. Start decreasing pressure of study on kid before exams, especially, before a week of exams. 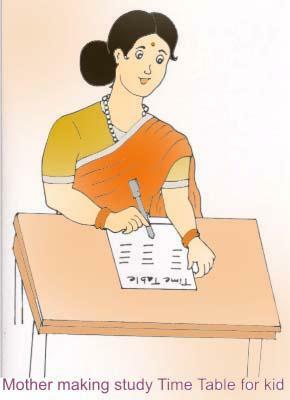 Take regular test and encourage her also that she can do better in the exams. 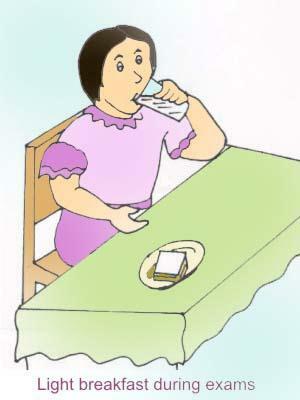 On examination day, wake up your kid on time, give her light breakfast and send to examination hall on time. Do wish her best of luck for exam. Check out all necessary stationery like pen, pencil, geometry box etc. required for exams. If kid don't want you to bring her from school, then don't do this. Every kid tries its best in the examination hall. So, never discuss or scold her on her examination mistakes, otherwise, this can increase her mental pressure and will badly affect her next exams also. If your kid has done well in this exam then do appreciate her and also give/declare some award for her good work. This will encourage your kid and expedite her capability for doing better and she will be full of enthusiasm for her next target. These are some easy but most necessary tips that parents should follow before exams to get better result for their kids. So, best of luck and start preparing your kid's planner, before it gets delayed. How to Tackle Exam Stress for Children? In this article I am discussing the reasons that make children stressed during exams. Children now-a-days lead a stressful life and often they fall prey to exam stress and cannot perform well in exam. Here you will find ways how to tackle exam stress. We all are often confused with the very much sought after word "Role Model". Though everyone knows what it means, have you ever made yourself fortunate to think on how to be the right role model for your kid ? I am telling you, its no more as hard as nails. In this article, you will come across why and how to be a perfect role model for your child. Every student is involved in writing examinations which is a part of student's life. Students naturally tend to feel the stress and tension at the time of exams. This article deals with some simple tips for students to tackle the exam fear.